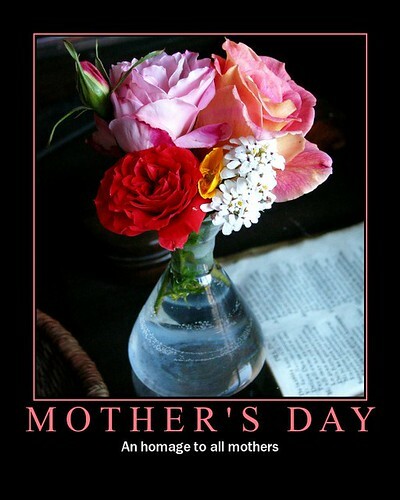 As we approach Mother’s Day 2010 (it’s this Sunday, May 9! ), I am reminded about how my mother influenced my frugal ways. When it came to clothing, she saved my older brother’s (Carlos Alston) clothes for me so I could wear his hand-me-downs. At first I didn’t like this because it seemed like my brother received more new clothes and I only received his used ones. However, very quickly I realized I had a great deal. I was able to select the best of my brother’s clothes which often were larger sizes of my favorite clothes that I had just grown out of and I received some new clothes. When I was growing up in Philadelphia, there was no Wal-Mart or Target. We also somehow tended not to buy clothes at K-Mart, Ames, Bradlees, Caldor, Montgomery Ward, or Jamesway. Instead, we shopped at discount stores for clothes such as Marshalls, and TJ Maxx, and bought only at the department stores when they had sales or discounts on irregular items. Remember the irregular clothes section! After I negotiated my weekly allowance (gradually from $1, $5, $10) up to $20 per week and started to pay for a few things myself, I became a big fan of the local thrift store where we often donated clothes and furniture. My father used to find valuable antiques at this same store from time to time. When it came to food, my mother would save leftovers for a second and or third meal, sometimes supplementing the main dish with additional sides. We would put loaf bread and cakes in the refrigerator after a few days to keep them from molding so we could enjoy them longer and not waste food. We didn’t go on expensive vacations, but instead did a lot of local and day trips. I guess these were the original “daycations.” One of my uncles loved to travel to amusement parks, so we were able to go with him on vacation from time to time to places such as Hershey Park, Disney World, Magic Kingdom, Old Country, Disney Land, Knotts Berry Farm, and Dorney Park. On the weekends, I often spent the time reading, or playing chess, basketball, baseball, or tennis with family and friends. My mother always had me turn off the lights, eat all my food, close the door so as not to allow the heat or cold air out, depending on the season. We also dressed in layers (my current avatar picture with the green hat depicts this image) and kept the house cold during the winter. I recall my mother saying to me when I was a child, “Money does not grow on trees” and “people are starving in Africa.” And she would let me know in a not so subtle way when something I wanted cost too much. Yet I always understood that I had what I really needed and received more than most kids. I am trying to pass this frugality on to my kids which I call the “miser mentality.” Its the art of living below your means which served my family well when my father lost his job in his forties and never had to work another regular job again. My parents put 2 kids through private college on my mother’s teacher’s salary and our modest life style did not noticeably or significantly change. This experience is one of the main reasons I am writing this personal finance blog. I smiled and gave her a hug and held her tight realizing I was sharing something my mother taught me. Thanks Mom and Happy Mother’s Day! And of course, Happy Mother’s Day to all other mothers out there, particularly to my wife! This entry was posted on Wednesday, May 5th, 2010 at 11:54 pm	and is filed under Frugality, Miser Mentality, Personal Finance. You can follow any responses to this entry through the RSS 2.0 feed. You can leave a response, or trackback from your own site.